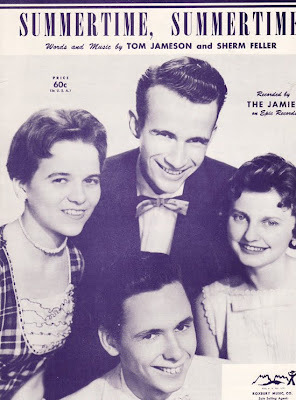 The Jamies were a quartet from the Boston neighborhood of Dorchester Tom and Serena Jameson, Jeannie Ray and Arthur Blair. In 1958 charted # 26 with the side_Summertime,Summertime. 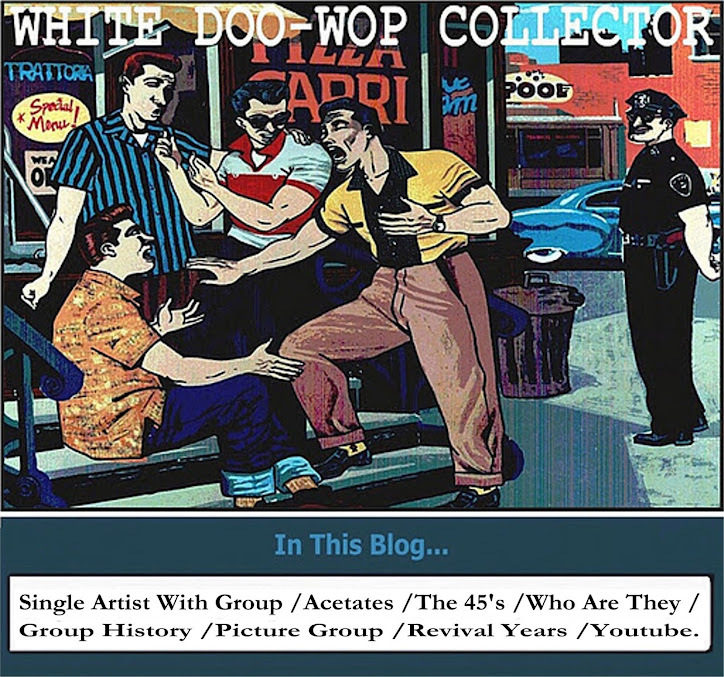 and in 1962 charted # 38 with the same side. -Summertime, Summertime/Searching For You.Epic Records-1958. -Snow Train/When The Sun Goes Down.Epic Records-1958. -Don't Darken My Door/The Evening Star.United Artists Records-1959.